In the grand scheme of all drugstores, Rite Aid is definitely one you want to learn how to coupon at. Between their new Wellness+BonusCash, weekly moneymaker deals, ROLLING points and much more, it’s a fantastic place to get some crazy good coupon deals and freebies. Do I have your attention yet? Okay, then let’s dive in and learn how to coupon at Rite Aid! In Jan 2018, Rite Aid changed their rewards program to the new Wellness+ BonusCash program. If you don’t know anything about the Wellness+ BonusCash program, you’re about to get really excited because to put it plainly, it is awesome! You can sign up for Wellness+ BonusCash here or in-store. Also, you can download the free Rite Aid mobile app to access your loyalty card information. Wellness+ is the name of the loyalty program specific to Rite Aid, but being a member allows you to earn BonusCash that can be spent like cash. You also score easy save-to-card paperless coupons and exclusive members-only access to sale prices. Wellness+ points are an easy way to earn coupons or additional percentages off your future purchase.You earn 1 Wellness+ point for every $1.00 you spend (calculated pre-coupons). You can also earn 25 Wellness+ points for every non-government funded prescription you have filled with Rite Aid. For every set amount of Wellness+ points you earn, you get a certain status with the loyalty program. For example, every 100 Points earned gets you Bronze Status and a 10% off coupon, until you get to Silver status, which cost 500 Points. That will get you a permanent 10% off nearly the entire store for a YEAR. Additionally, Gold status cost 1000 Points and gets you a permanent 20% off nearly the entire store for a YEAR. It’s awesome extra savings! Wellness+ Points track for one calendar year before they reset back to 0. Wellness+ Bonus Cash Rewards are digital coupons earned on participating items and promotions throughout the store and online. These rewards are loaded automatically to your wellness+ card at 6AM the day after you earn them and are automatically deducted off your next shopping trip. It’s important to keep in mind that if you have a $10 BonusCash reward, your transaction total must exceed $10.00 in order for the reward to be used. Starting 4/16/18, your BonusCash will still be automatically applied to your card, but you will have the option during checkout to use your available BonusCash now or save to use at a later date. You can decide how much Bonus Cash you want applied to your current total. If you’d like to see how much Bonus Cash you have earned and your balance, just check your receipt after checkout. The rewards expire after 60 days. Being a member of the rewards program also gives you access to exclusive Load2Card coupons. These are primarily manufacturer coupons, but also occasionally store coupons. As with other coupons, they can be stacked (1 manufacturer + 1 store coupon) on the same items. You can ONLY access Load2Card coupons if you are a Wellness+ BonusCash member. Rite Aid switched from Plenti Points to Wellness+BonusCash in Jan 2018. If you have Plenti Points, you can redeem them at Rite Aid until July 10, 2018. The Plenti Points program will no longer be active at any store after July 10, 2018. Now we know how the Wellness+ BonusCash rewards program works, let’s get into the nuts and bolts of sales and coupon policy. Like many stores, Rite Aid offers weekly sale prices and promotions, such as BOGO 50% off. These are advertised in their weekly ad and in-store sale tags. You can also find the weekly deals on our Rite Aid Weekly Matchup here. There are also Monthly sales and promotions. Sometimes the monthly sales overlap with weekly sales, thus creating a double-dip situation where you can take advantage of both sales for extreme savings. These can be found in the weekly ad, occasionally as Load2Card coupons and on their Facebook page. Note that the coupons on Rite Aid’s Facebook page are limited to 10,000 prints, so getting them is time-sensitive. Rite Aid store coupons will say “Manufacturer’s coupon” on them with the Rite Aid logo. Rite Aid coupons all have barcodes starting with “RC”. These can be stacked with normal Manufacturer’s coupons. Rite Aid has one of the best coupon policies around. You can see a copy of it on their website here. Use up to four of the same coupons in one transaction. Use up to THREE coupons on one item. One manufacturer coupon, one Rite Aid store coupon and one peelie coupon (a manufacturer coupon found adhered to the item in-store). Stack a Buy One Get One Free coupon with a cents-off coupon. This means if you have a Buy One Get One Free Tampax coupon, you can use it in conjunction with a $2.00/1 Tampax coupon on the same two items. You cannot use a coupon on the item you’re getting for FREE, but you can use the cents-off coupon on the item you’re paying for. “Total Purchase” coupons are calculated before other coupons. So, if you have a special Rite Aid threshold coupon for something like $5 off your $25 purchase, you only have to get to $25 BEFORE all other coupons. Then, hand over your $5 off coupon first and follow it up with all of your other coupons. You can use two coupons on BOGO 50% off promotions (one for each item). Keep in mind if the value of the coupon exceeds the price of the item, it will be adjusted down. You cannot stack a BOGO Free sale with a BOGO Free coupon. You’re purchasing FOUR Revlon Mascaras at $8.99 each and FOUR Revlon ColorStay Eyeliners at $8.29 each for a total of $69.12. The “online price” means that the starting price of $8.99 is an online price because the promotion doesn’t have an advertised fixed price, this means that the in store price may vary by region (higher or lower in some regions). You will automatically get $16.60 deducted because there is a current BOGO 50% off sale for these Revlon items, making your subtotal $52.52. You’ll use FOUR FREE Revlon Mascara WYB Eyeliner coupons from Smartsource insert that came out on 9/11 for a total deduction value of $35.96. You’ll pay out of pocket $16.56 (+ tax), but get back 2,000 Wellness+BonusCash (= $20) because you’ve spent at least $50 and the monthly threshold promotion states “Spend $50, get $20 in Points”. Your final net price is FREE plus $3.44 moneymaker! Do these transactions seem complicated to you? Don’t worry, here at Free Stuff Finder we break them all down for you to take out the guesswork. 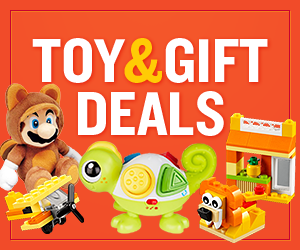 Check out the Weekly Deals & Matchups Here. 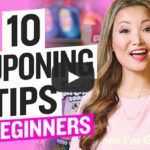 If you’re a complete newbie, it’s also a good idea to check out these How to Coupon articles to help you get started. Now you’re ready to go coupon shopping at Rite Aid! I wish you success! 🙂 Bye! If you’re having any problems with a cashier, it’s best to try to speak to the manager on duty to resolve the issue. If that manager is unwilling or unable to help you, you can also try contacting Rite Aid customer service.